If Pete Frame did one of his “rock family trees” for the UK small press comics scene, a lot of the current activity could probably trace its roots back to the Fast Fiction anthology, info sheets and stall at the now legendary Westminster Comics Marts of the 1980s, of which the ever-industrious Ed Pinsent was one of the custodians. In recent years Ed seems to have devoted more time to experimental music, via his Sound Projector project, but he has continued to make his very distinctive comics, characterised by a mythic sensibility, dream-like fluidity and no small amount of lyrical charm. Ed’s latest title marks the return of one of his long-standing characters, Windy Wilberforce, who was last seen laying down some hazy cosmic jive with jazz pioneer Sun Ra. 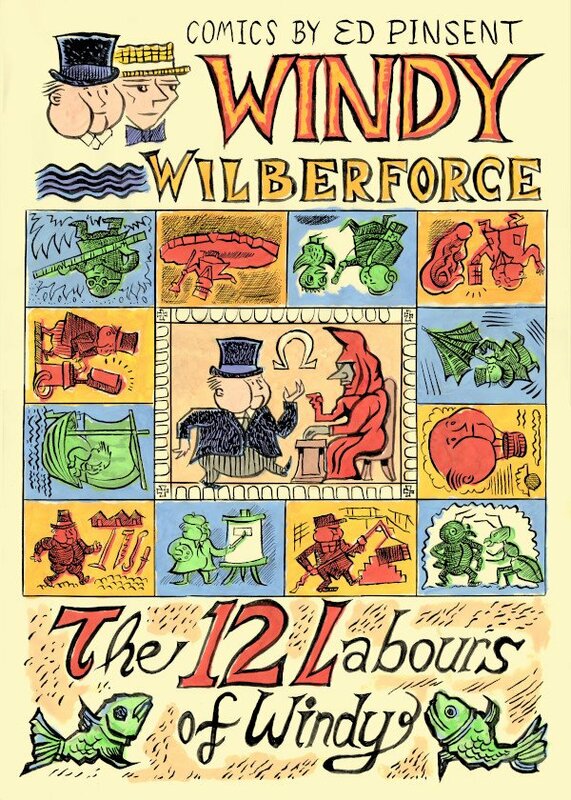 In The 12 Labours of Windy, the top-hatted tubster takes another wild tour through time and space. Windy’s Herculean adventure starts when he finds that his fishmonger pal Harry Excess has hit hard times in the rapidly changing retail environment. Determined to help, the ever-willing Wilberforce leaps into action; when the going gets tough, the tough go to the library. His investigations soon bring him into the orbit of “The Twelve” – a shadowy cabal of venture capitalists who agree to help Windy (and Harry) on one condition: that he undertakes 12 epic labours – one for each of The Twelve. Using his trademark mix of resourcefulness, determination and a protean set of supernatural abilities, Windy throws himself into his assignment. However, in performing his tasks, he finds himself not only an unwitting accomplice in the plutocracy tightening its grip on the world, but also becoming drawn into a deeper occult conspiracy. 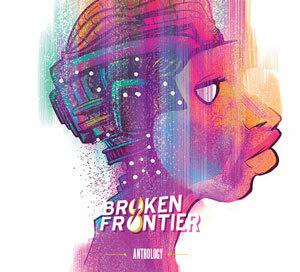 Ed’s art style remains as dynamic and inventive as ever; the jagged edges of the frantic modern world are contrasted with the rotund and comforting shape of Windy at the book’s heart. And beneath all of the story’s wild imagination, humour and free-wheeling surrealism is a vision of a kinder and fairer society. 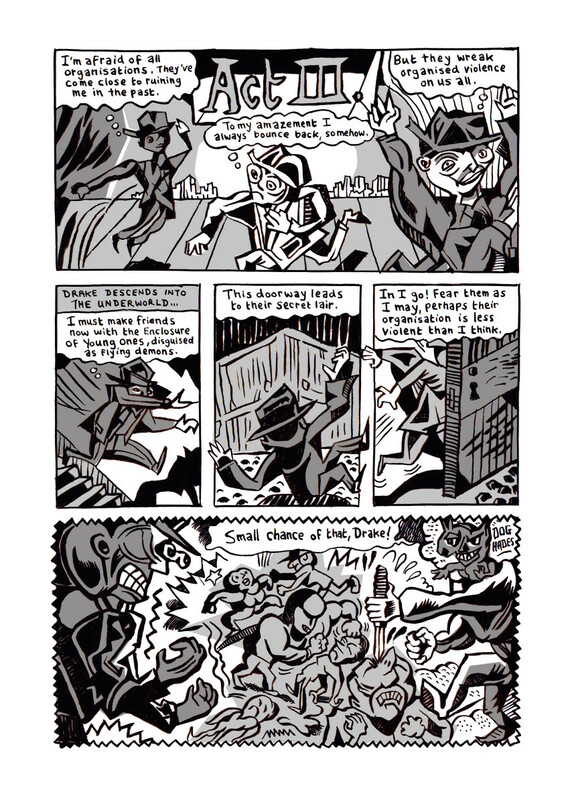 The apparent hostility of the modern world is also a key theme in another of Ed’s recent(-ish) releases, Drake Goes into the Underworld, featuring another veteran character – the psychic detective Drake Ullingsworth (accompanied, as ever, by his bitingly sardonic dog). 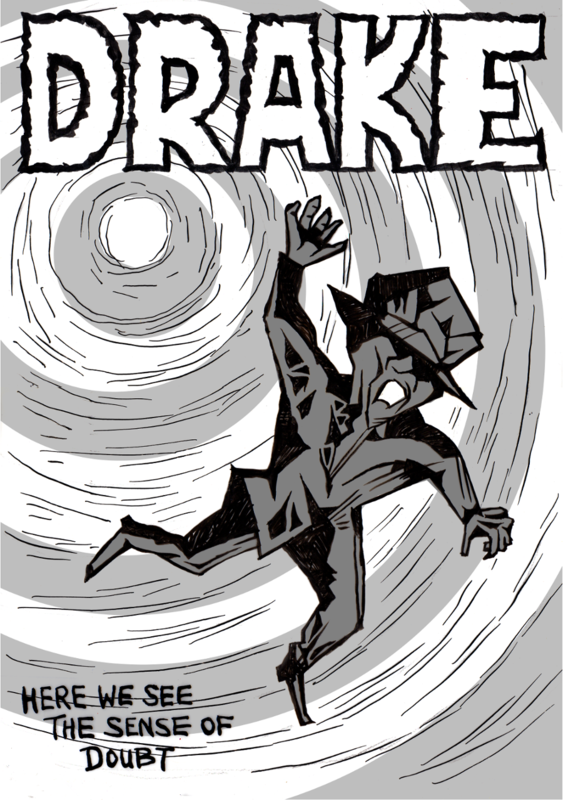 As Drake feels old age creeping up on him, he is hit by a visceral alienation from both the increasingly soulless and ethereal experience of shopping and the brutal tendencies of the young people he encounters. He soon finds himself playing both sides against the middle in an interdimensional war between violent youthful demons (led by ‘Mor’) and King Shop, the avatar of unfettered commercialism who reigns over the infernal Iron Mall. In some ways representing the flipside to Windy’s folksy charm, this is an altogether starker thrash of a comic, epitomised by the harsh tones of the cover. Ed’s use of language here particularly reminds me of the late Mark E Smith; there are angular phrases on the page that would sound right at home being spat off a Fall album. It’s also refreshing to see a vivid representation of middle-age discontent; an unease at the bruising aggression that seems to push its forehead into your face every time you leave the house, and a sense that – as in Windy’s world – there must be a better way of living. While going deep into the fantastical, both of these comics dig into very contemporary concerns. 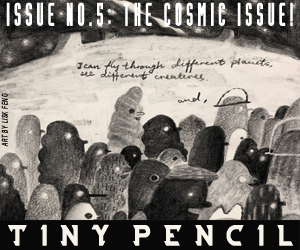 In terms of both craft and relevance, there’s still a place for Ed Pinsent at the small press’s top table. Ed’s website is a treasure trove for any enthusiast for UK small press comics of the 1980s and early 1990s, containing galleries of covers, reproductions of Fast Fiction information sheets, photos and no end of other goodies. 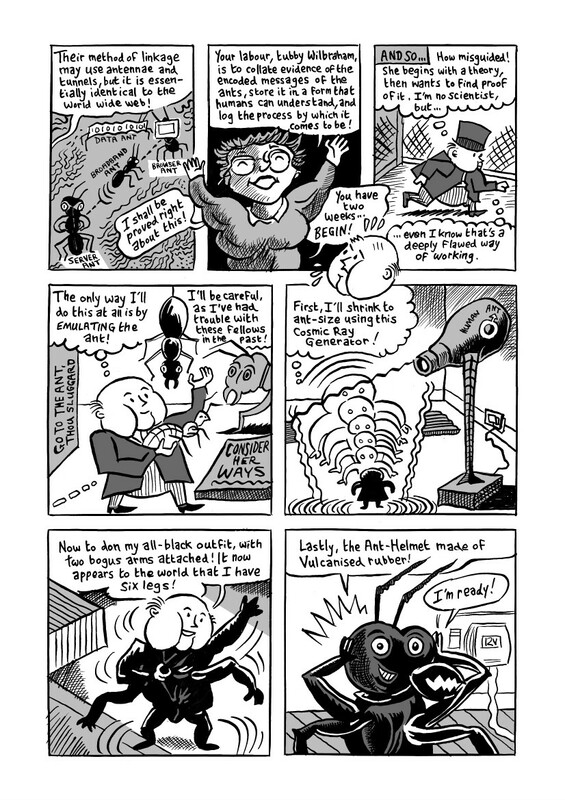 There are even free PDFs of several of Ed’s early comics.